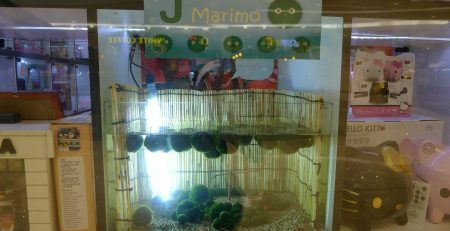 Marimo balls are spherical shaped algae found in the lakes of Japan, Iceland, and Estonia. They have a soft, velvety appearance, and often move around like dancing, bouncy balls. 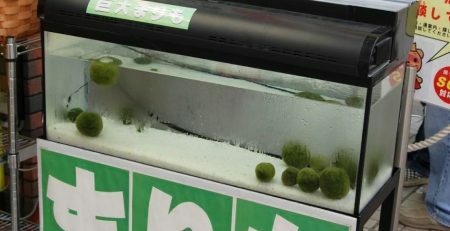 They would be a great addition to any fresh-water home aquarium; not only are they fun to look at, but marimo balls act as filters to clean the water, too! 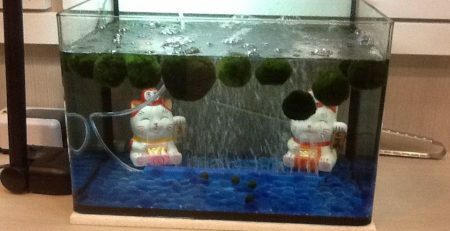 The balls have a pleasant velvety appearance and are beautiful when displayed in a fish tank or underwater terrarium. 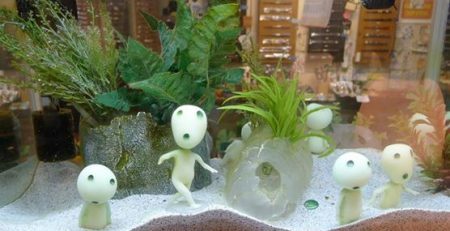 Marimos are very easy to take care of. 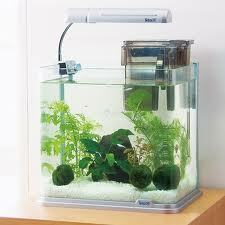 They can thrive in tap water at room temperature as long as the water is changed every one or two weeks. 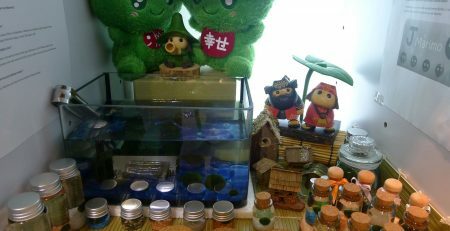 Indirect sunlight is all they need, but a little more lighting, perhaps from a desk lamp, might create healthier and fuzzier marimos. 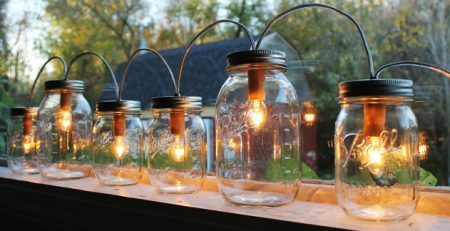 They can grow bigger, albeit slowly over time. 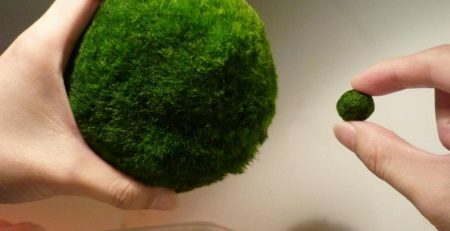 Flatten the marimo balls to look like part of a tree. 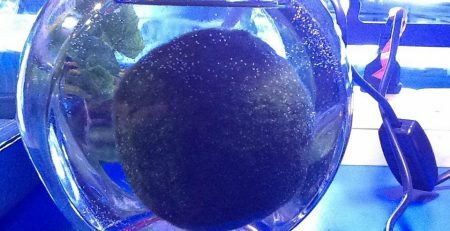 Shape marimos into eggs and make a natural lava globe.